While we are getting close to the next important exhibition of the watch industry Baselworld 2016, brands are presenting their novelties which are planned to be launched officially during the exhibition. 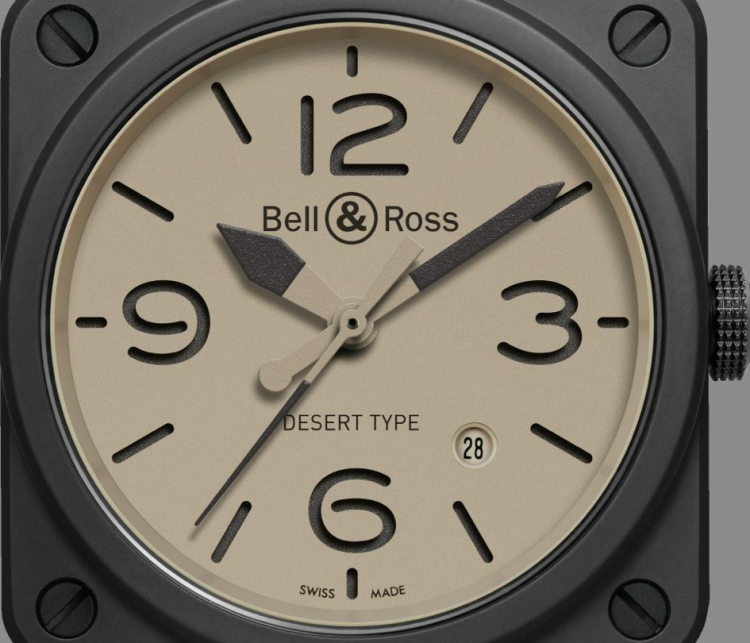 In this regard, Bell & Ross joins the game with its latest Desert Type Collection. The 42mm diameter case is offered in matt black ceramic. WR100M rated case features an AR coated sapphire crystal for better reading. ETA based and 37 jewelled Caliber 301 beats at 28800vph and offers 42h of power reserve when fully wound. 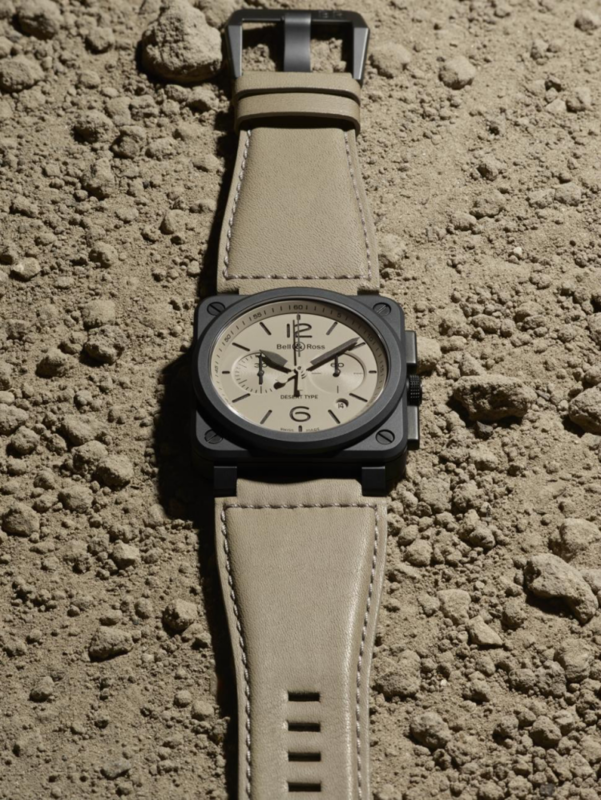 Bell & Ross BR 03-94 Desert Type Chronograph is offered with a leather and a synthetic fabric strap both in beige color. 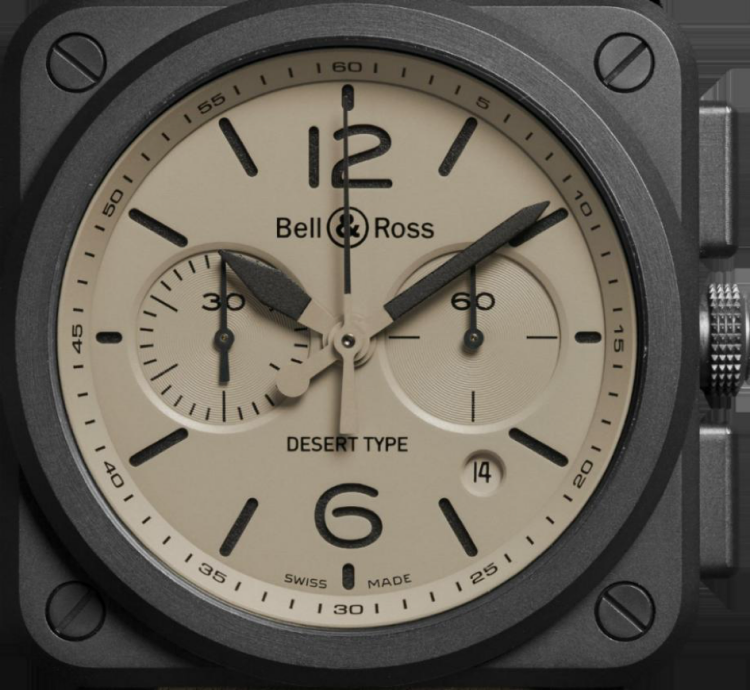 Practically a non-chronograph version of the same product line, Bell & Ross BR 03-92 Desert Type Automatic is offered in the same 42mm matt black ceramic case. The movement is a Sellita based automatic Calibre 302. The movement beats at 28800vph and offers 38h power reserve when fully wound. The last version of the collection is a quartz movement one. Being offered in a 39mm matt black ceramic case, Bell & Ross BR S Desert Type Quartz features the quartz Caliber 102 and sports WR100M rating.